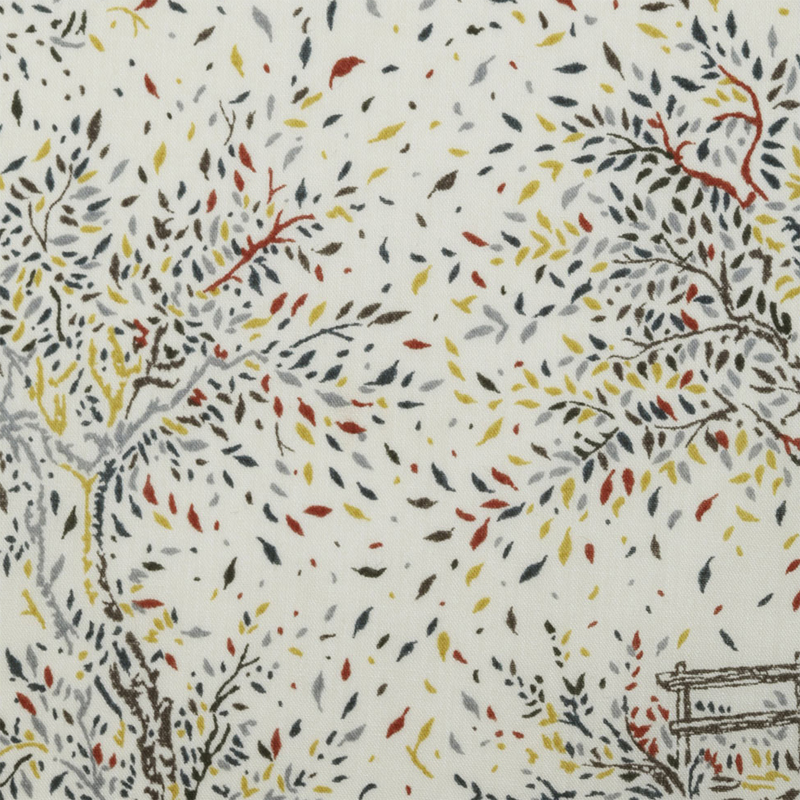 There are great fabrics that come out all the time, but rarely are we blown away by an entire collection. 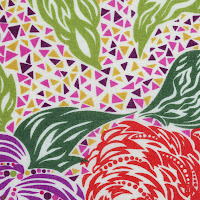 For me this happened with Tula Pink's Parisville collection for Freespirit that came out at the end of last year. 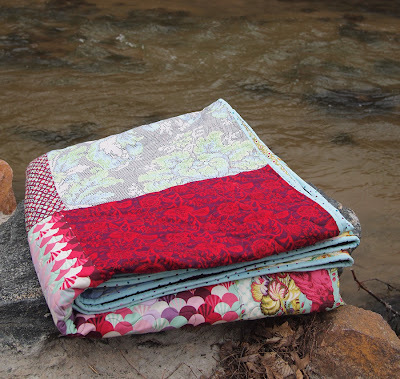 This collection was just begging to be made up into a quilt! 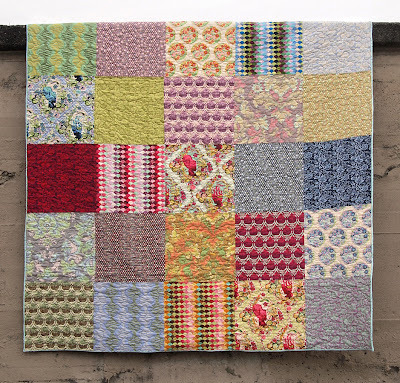 I wanted to do something that showcased all the fabrics so I used one Parisville fat-quarter bundle to make this queen sized quilt. At the time, I was in a crafting frenzy, whipping up tons of handmade gifts for the holidays every free moment. One Sunday, I channeled this creative energy to create the top for this quilt. It only took a couple of hours to make! All I did was cut the fat quarters down from 18" x 22" to 18" squares, cutting a 4" strip off of each one. Then I laid the squares out on my living room floor to come up with the perfect combination, which ended up to be totally random. I pieced my 4" leftover strips together to make two stripes on the back of the quilt. I even had enough strips to make two pillowcases that match the quilt perfectly. 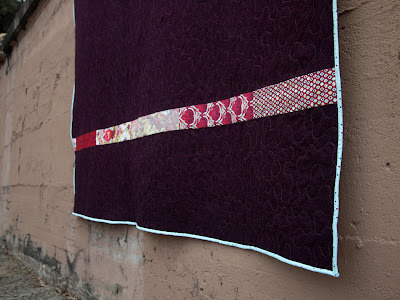 For the binding, I went with one of the new Jay McCarroll polka dots, which coordinates great with the Parisville fabrics. I chose a basic stippling pattern for the quilting and used a nice, soft cotton batting. 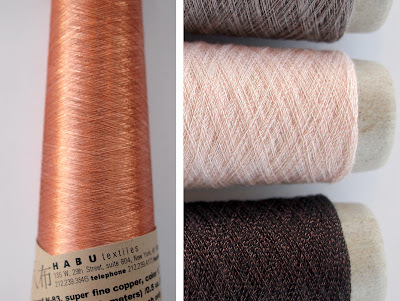 Habu Textiles Super Fine Merino, Copper Yarns and Kusha Kusha Scarf! 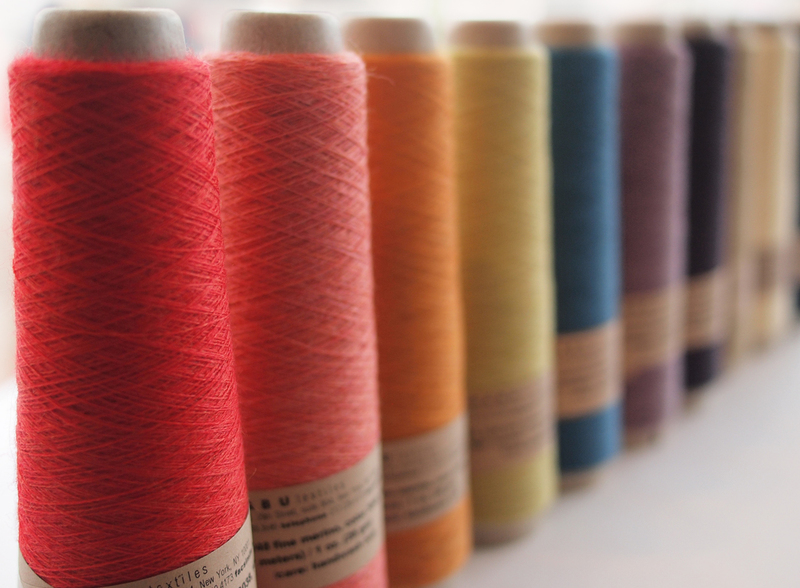 We just received a box full of pretty cones from Habu Textiles! 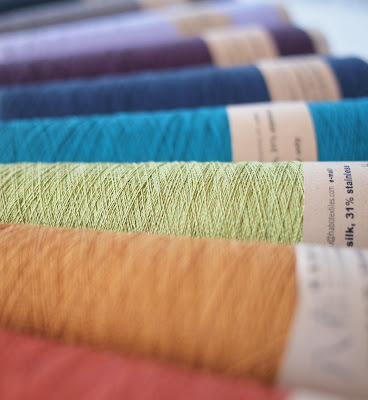 The Super Fine Merino, in an array of pretty, heathered hues, is our finest merino yarn and is perfect for sheer lace work. You may know and love Habu's 100% superfine stainless yarn--now there is beautiful new 100% copper yarn! 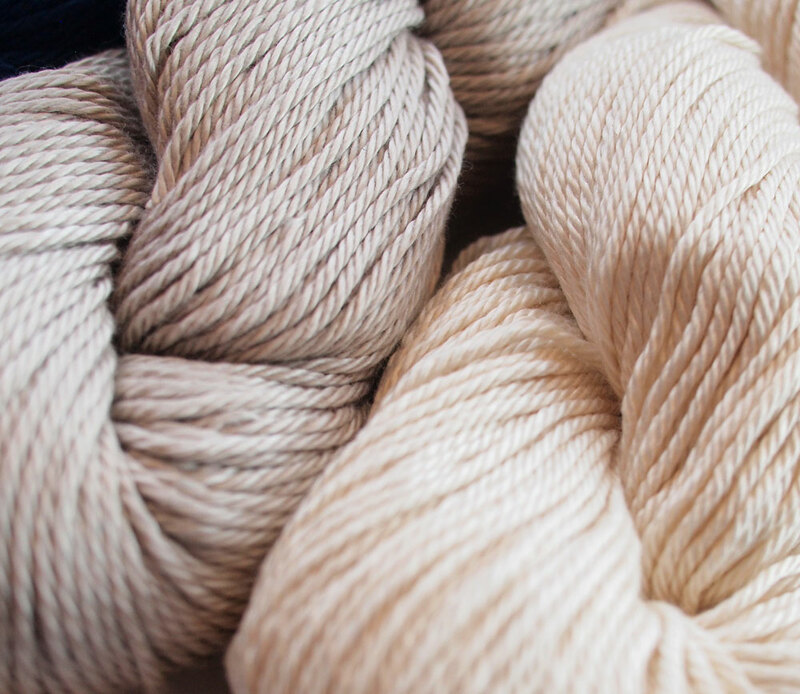 We love the warm peach tone the copper gives to the new N-69 Copper/Bamboo yarn. This crisp, light as air Kusha Kusha scarf used to be a kit, but now the yarns are available individually for a one-of-a-kind color combo of your choosing. 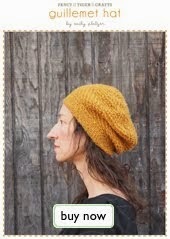 The free pattern is translated into English on The Purl Bee blog. Thanks Purl Bee! The Kusha Kusha scarf uses one skein each of the N-75 Super Fine Merino and the A-20 Silk/Stainless Steel. The stainless steel gives the yarn an amazing texture and memory and a very modern, crisp look. The new Bamboo/Copper yarn has the same effect and would be an amazing alternative to use! 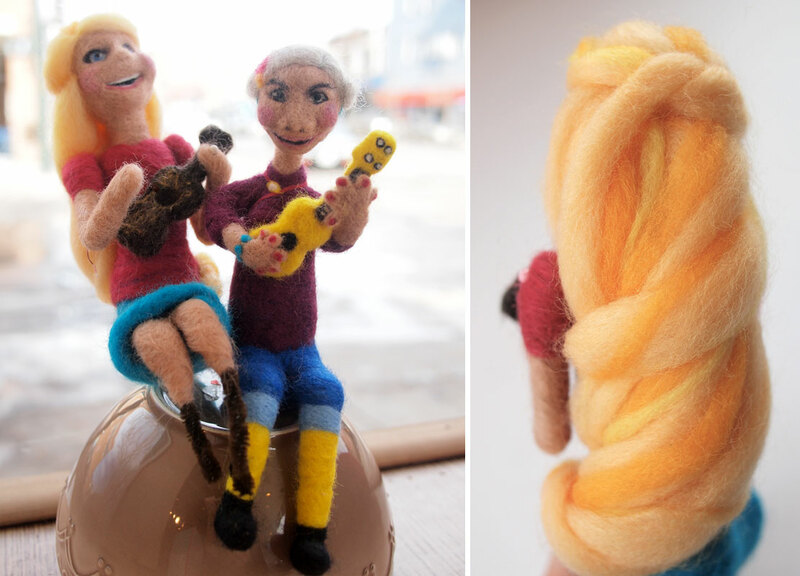 Rachael is a needlefelting superstar. 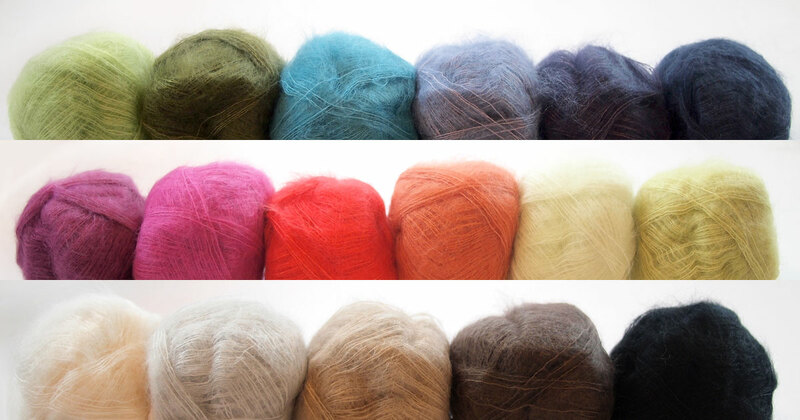 She has been buying up every last bit our beige Corriedale wool roving. We finally found out what she's been up to when she walked into the store dwarfed by the gigantic troll doll friend that she has been working on. We were like, "Wha-what-what!?" This enormous woolly needlefelted troll is an amazing thing to behold. 1) What kinds of crafts do you do? I have been a sculptor for about seven years, but this is my first time using wool and felting. 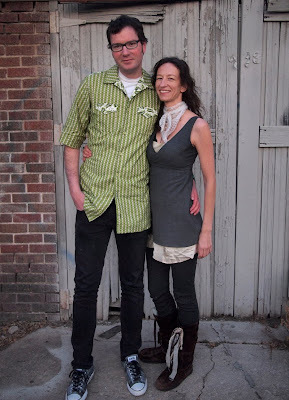 I am a sculptor major at Metro State and will soon be working on my MFA. I have always been crafty and after this experience I think I will be more fiber based. 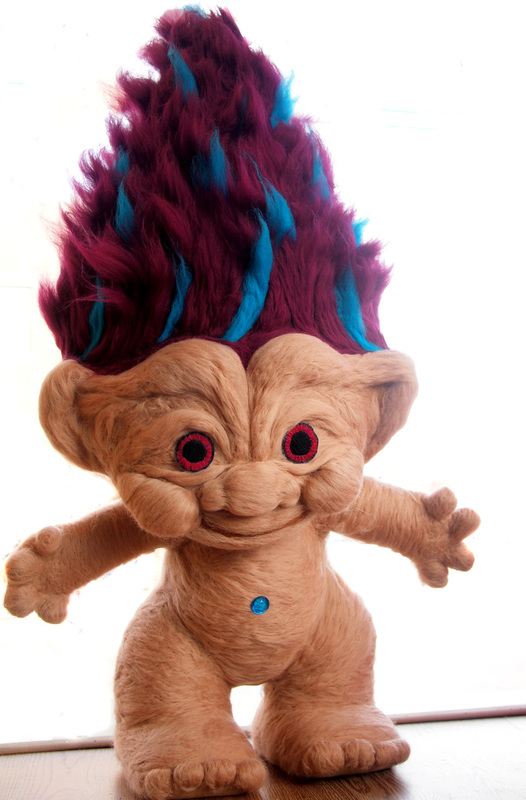 2) Tell us about making your troll friend. The troll was for a project in my fiber arts class at Metro. 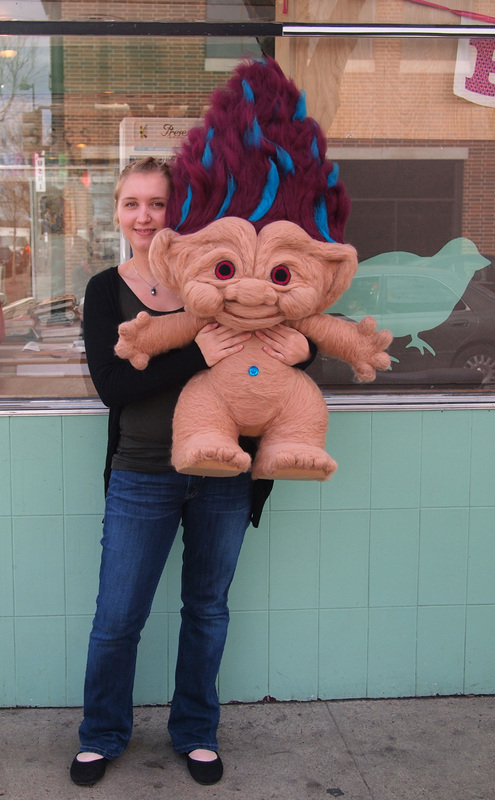 The theme was "the everyday and the sublime" so I decided to make a large troll. 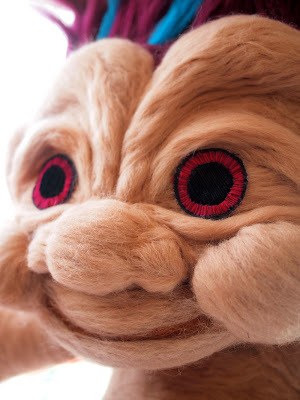 I built an armature and fiberfill and then needlefelted over top of it. The whole process was a learning experience. I had never needlefelted before. I had to learn to felt, both wet and dry, as a requirement for this project. Because we had to use this technique I did my best to learn as I went. Fancy Tiger was a huge help in my process. I love pandas and red pandas. 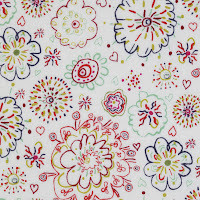 Dena Designs Kumari Gardens Fabrics! White, bright white--it is one hot color. 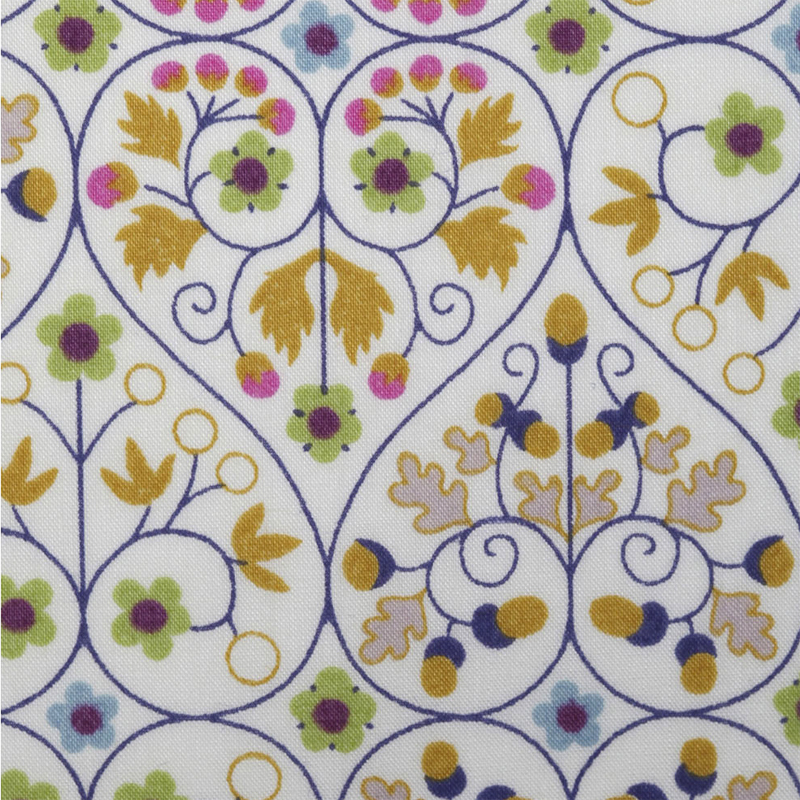 The new Dena designs collection, Kumari Garden is abundant with white, perfectly balanced with crisp designs and the vibrant colors of spring. Make a sweet sundress, or bright pillows to update your living space and herald the coming of sunny warm days! New Alisha Goes Around Yarns! 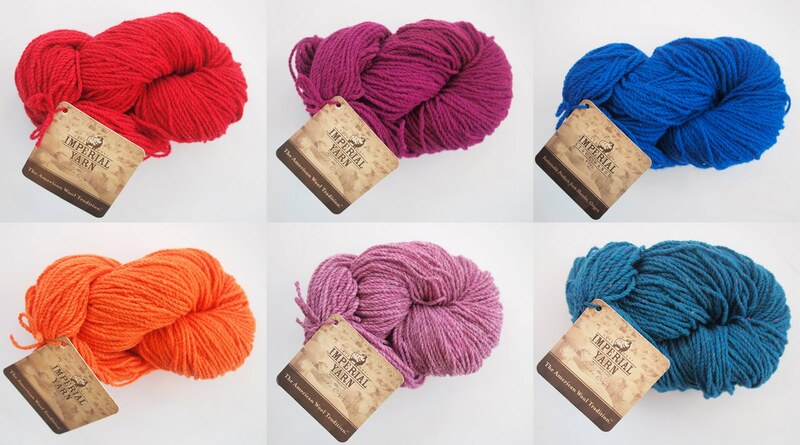 Alisha Goes Around is a one woman yarn dyeing company out of New Braunsfels, Texas. 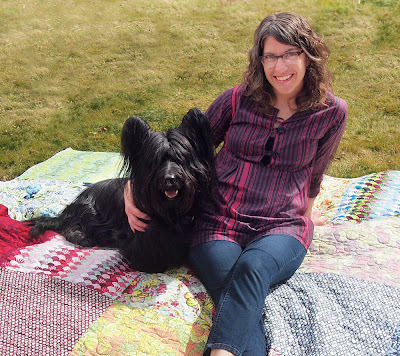 We became enamored with Alisha's yarns--and her adorable yarns named for groups of animals! We picked up two of her yarn lines: Marmalade (of Ponies), an aran weight, kettle-dyed yarn, and Tittering (of Magpies), a sparkling sock yarn. Forgive the photoshop sparkles, the delicate sparkle of Tittering (of Magpies) is as elusive to photography as a magical unicorn! We love that Marmalade (of Ponies) is a little on the bulky side--a rarity for pretty kettle-dyed yarns. We want to see the softly variegated colors as a chunky cabled hat or scarf, or it would be an amazing yarn for a simple cardigan. 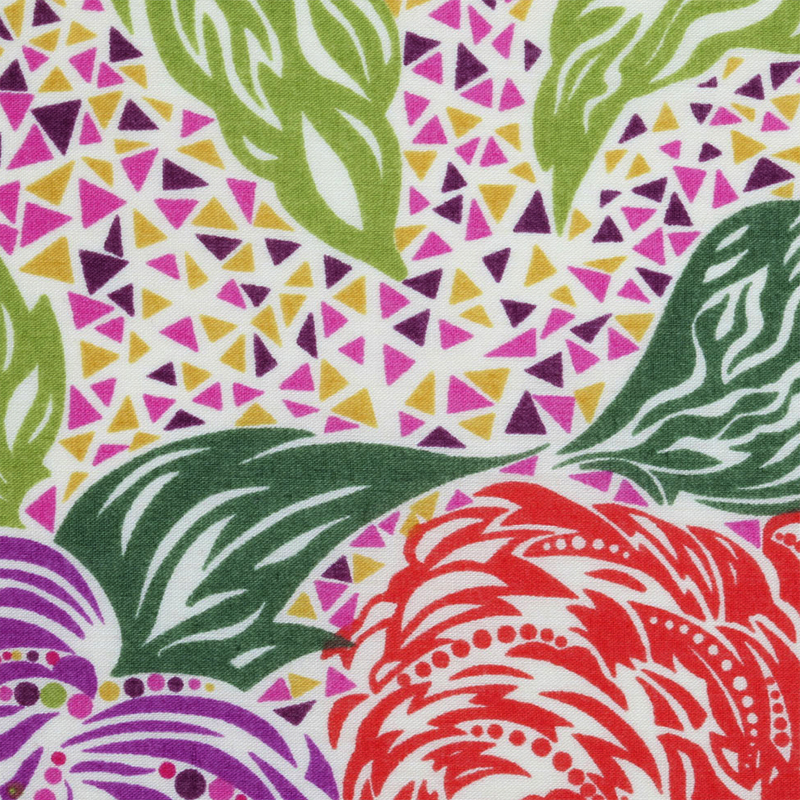 New Liberty Prints are Here! We love Liberty! We just can't get enough of the Tana lawn's amazing drape, silky feel, high thread count and pretty, pretty prints. Which is why there was probably some squealing and fanning of ourselves when we opened up a box of new limited edition Liberty prints that just arrived. 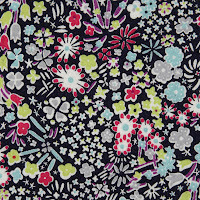 Here is a peek at the new Spring 2011 Libertys that we just put out on the floor. Are you wondering what to make from this precious fabric? 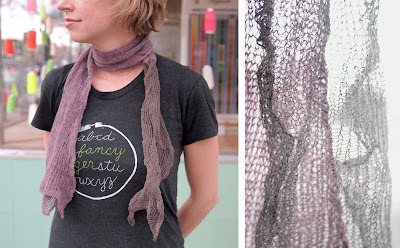 One of my favorite projects is the mobius scarf that uses just a quarter yard. 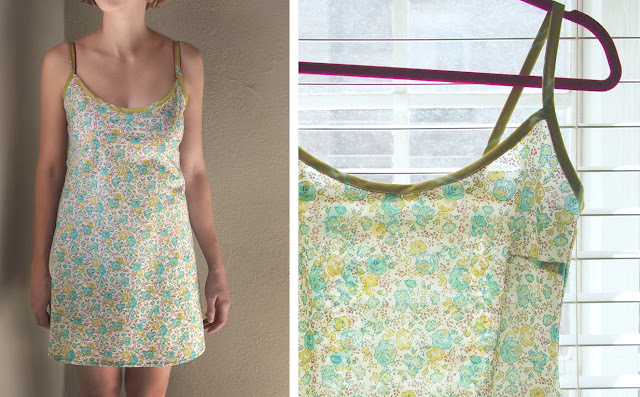 Or if you are feeling like really treating yourself, a Liberty slip might be just the thing. 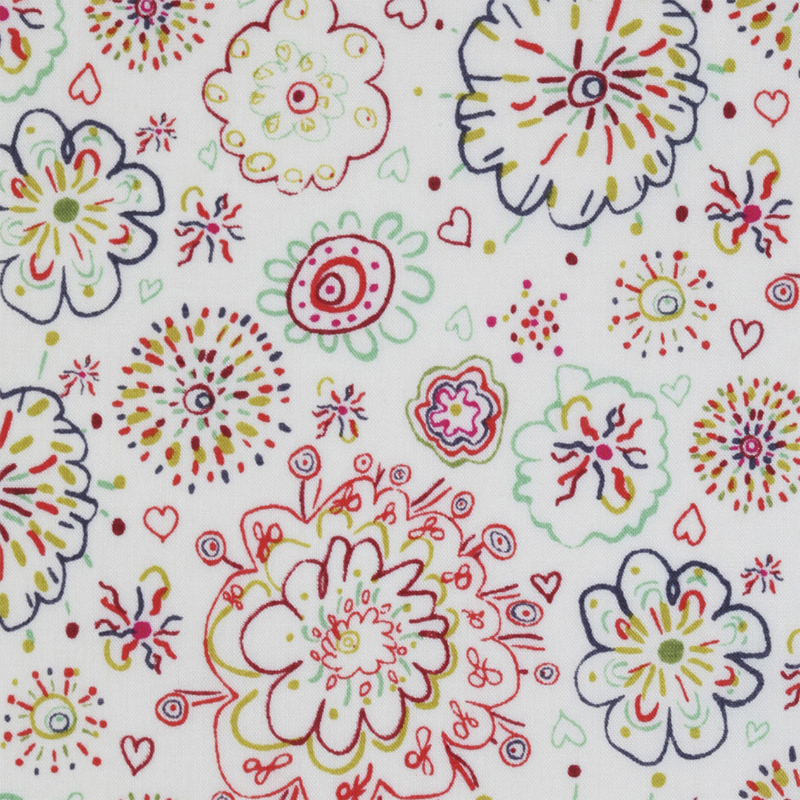 With 1-5/8 yards of Liberty Classic in Felicite I made the slip from Anna Maria Horner's Roundabout Dress pattern. It was a breeze to make! 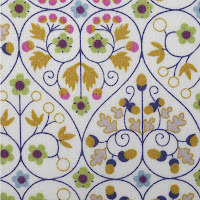 We also have a new selection of Classic Tana Lawns--the familiar standards that Liberty prints year after year. Come by the shop to see all the new Libertys! 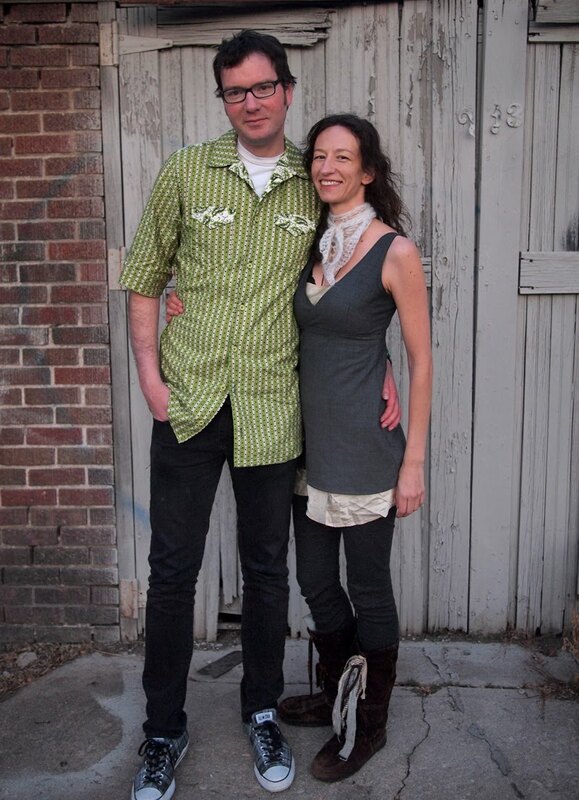 This Valentine's Day, my beau Luke totally scored with two handmade shirts! 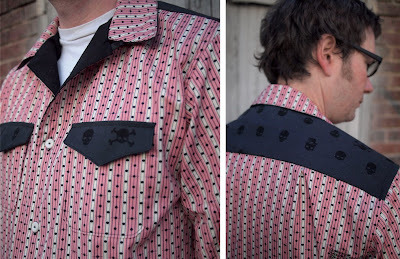 Colette recently released Negroni, a shirt pattern for gentlemen. 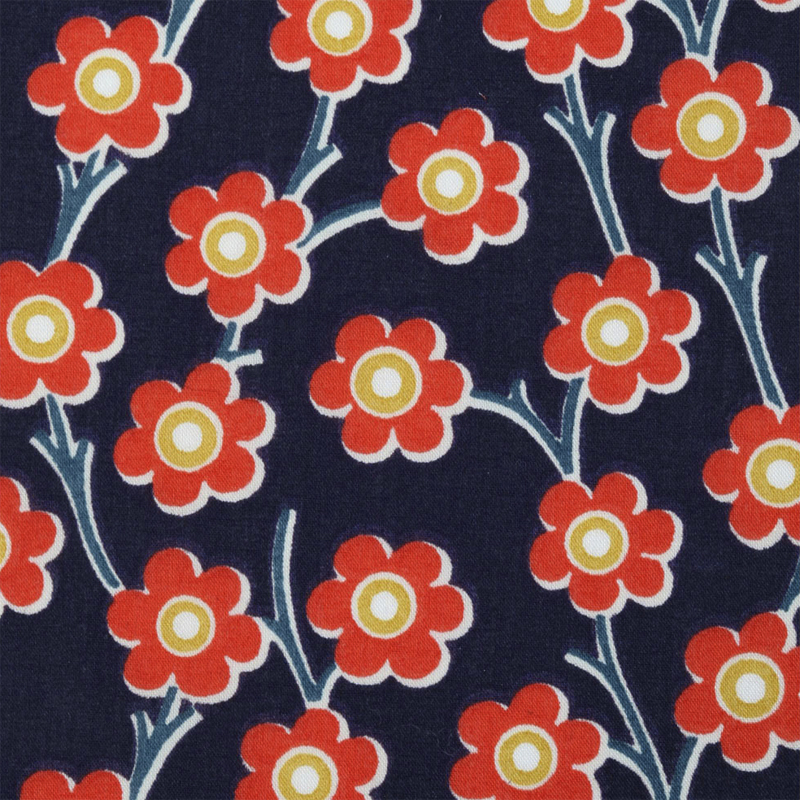 The pattern is named for a classic cocktail invented in 1919 by the Count Camillo Negroni. Manly! The construction is really brilliant, and I got to practice my flat felled seams on curves! 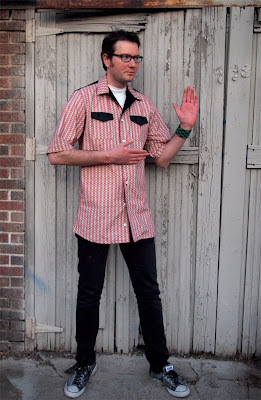 Luke is tall at 6'8", but the Negroni pattern has easy to follow markings for alterations to lengthen or shorten body and sleeves. Thanks, Colette! One thing I love about garment sewing is tailoring to your measurements. Clothes that fit make you feel like a ninja (see above). This is really important if you are prone to loitering in alleys. 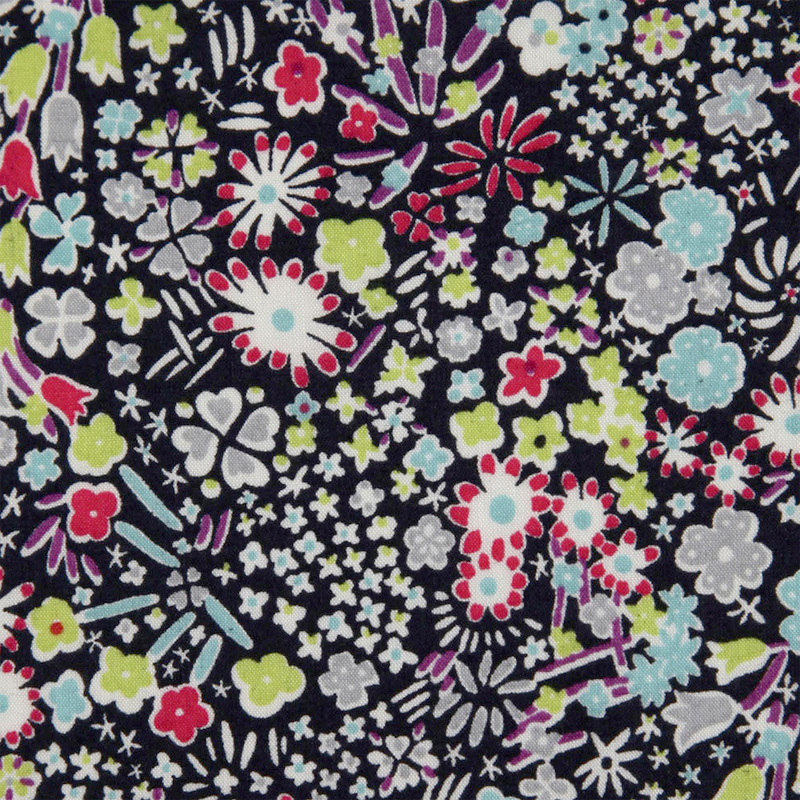 Another thing I love about sewing is getting to choose fabrics! I had a really hard time with so many fabrics to choose from, so I asked Luke for help. The main fabric is Library Stripe from Denyse Schmidt's newest collection, Greenfield Hill, with contrast in Kokka's black on black Cool Skulls. Smart and dangerous! 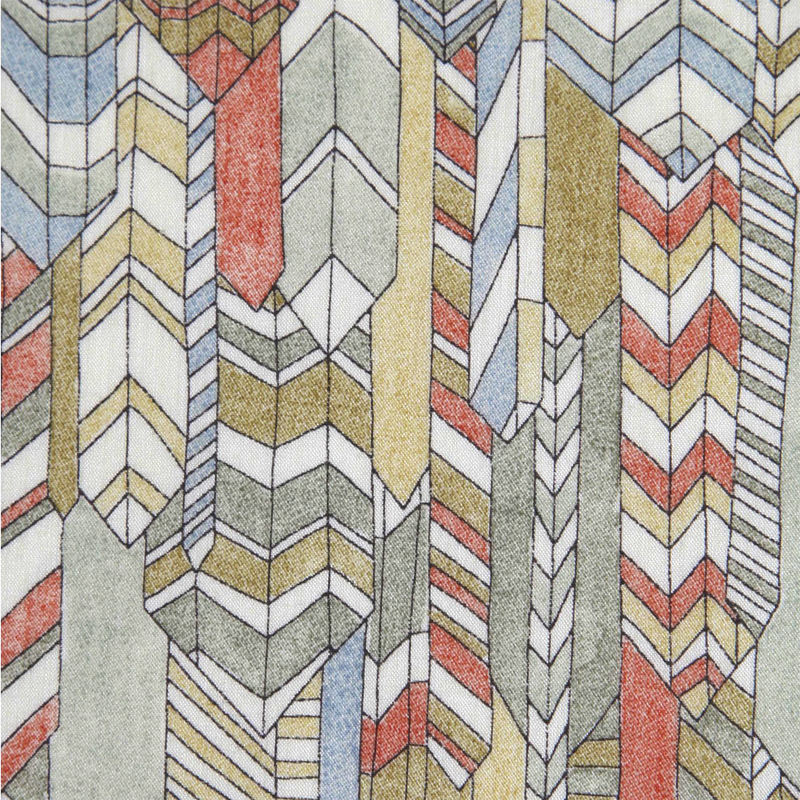 The second Negroni uses two coordinating fabrics from Denyse Schmidt's Greenfield Hill collection. 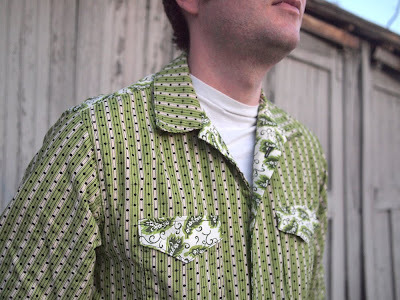 The pattern doesn't call for contrast fabric, but I think it certainly spices things up. To make your own Negroni, mix equal parts gin, sweet vermouth and Campari. 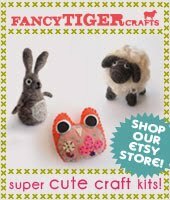 Or, come into Fancy Tiger Crafts! New Imperial Stock Ranch 2-ply Worsted! 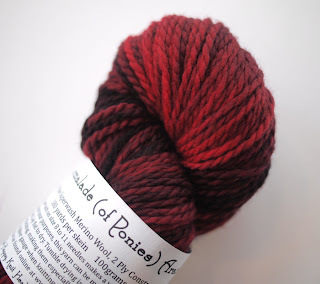 New in the shop and absolutely scrumptious is Imperial Stock Ranch 2-Ply Worsted. You might remember us gushing about how much we love this yarn company. Located in Oregon, Imperial Stock Ranch is a beautiful example of a small, sustainable, working ranch making amazing high-quality products. 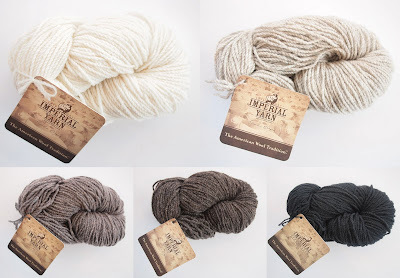 The two-ply yarn is a great all around yarn, made of springy Columbia wool that is soft enough for scarves and also durable enough for sweaters and such. 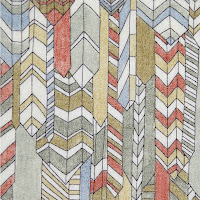 And the heathered and tweedy color palette is gorgeous! I just finished a new skirt! 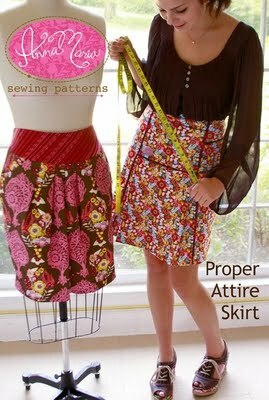 I've been wanting to make up the Proper Attire Skirt pattern by Anna Maria Horner and have been waiting for the perfect fabric. Of course, it was one of the new Echino prints in black. 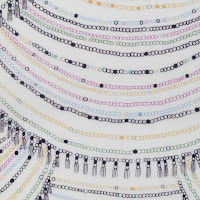 There are two designs to chose from for this pattern and I choose the one with the pleated front. 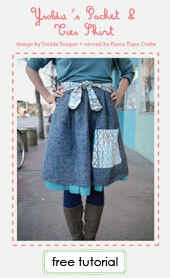 The skirt is awesome! I love the high-waisted design and slight pencil skirt fit. 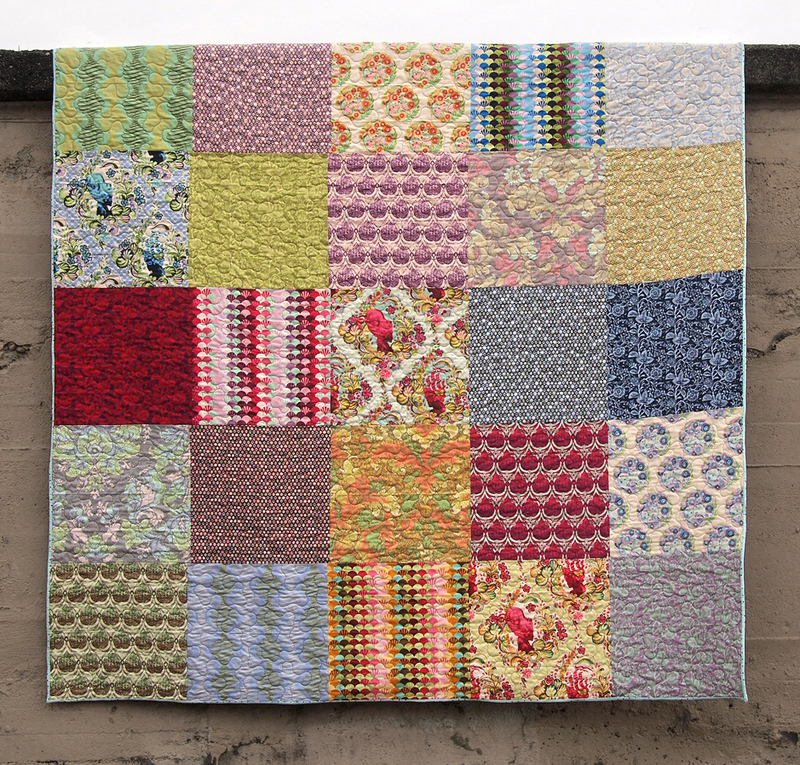 It is fully lined in Anna Maria Horner's voile so it is silky soft on the inside. The Echino fabrics are a linen blend so it is a nice crisp fabric to use for this tailored design. 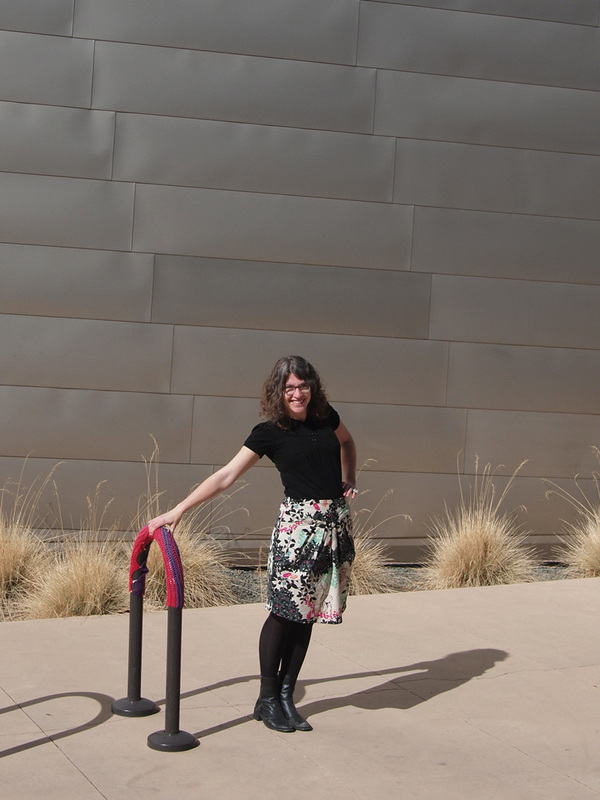 I am all set for spring with my new skirt! 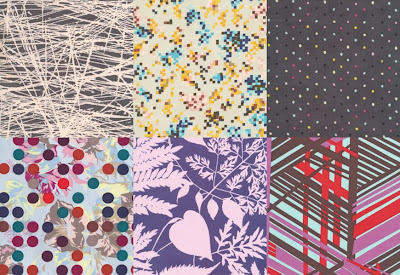 New Jay McCarroll Habitat Fabrics! Jay McCarroll just killed us. His new Habitat collection is so hot we can't stand it! 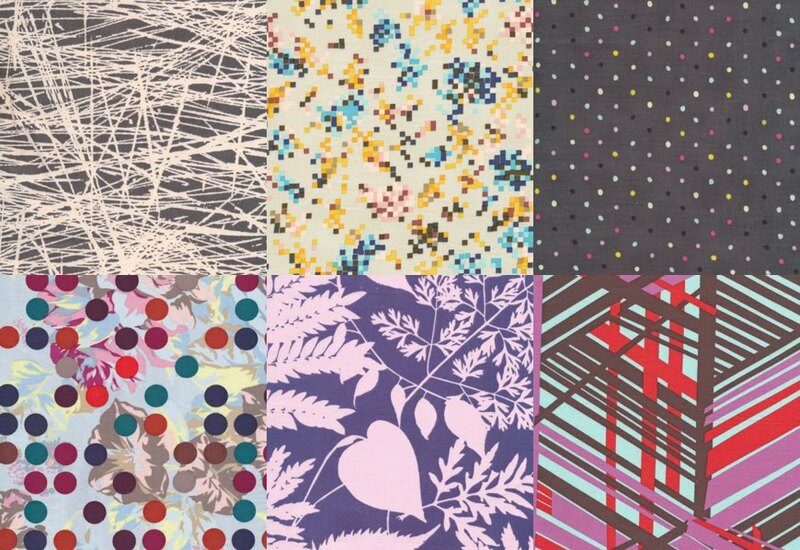 This is the fabric collection we've been waiting for since Project Runway winner Jay McCarroll started designing fabric--it is fashion oriented and perfect for making hot skirts, bags, modern button-down shirts and dresses. 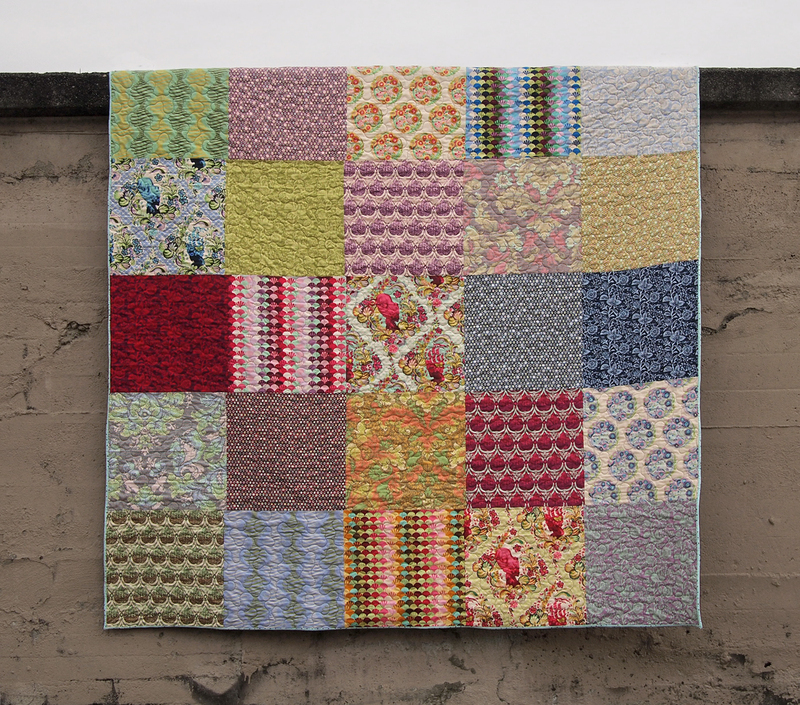 The fat quarter bundles are on their way, too, and if you've got quilting on your mind like I do, this collection is super inspiring. Now, let the adorable Jay tell you in his own words about his newest collection! 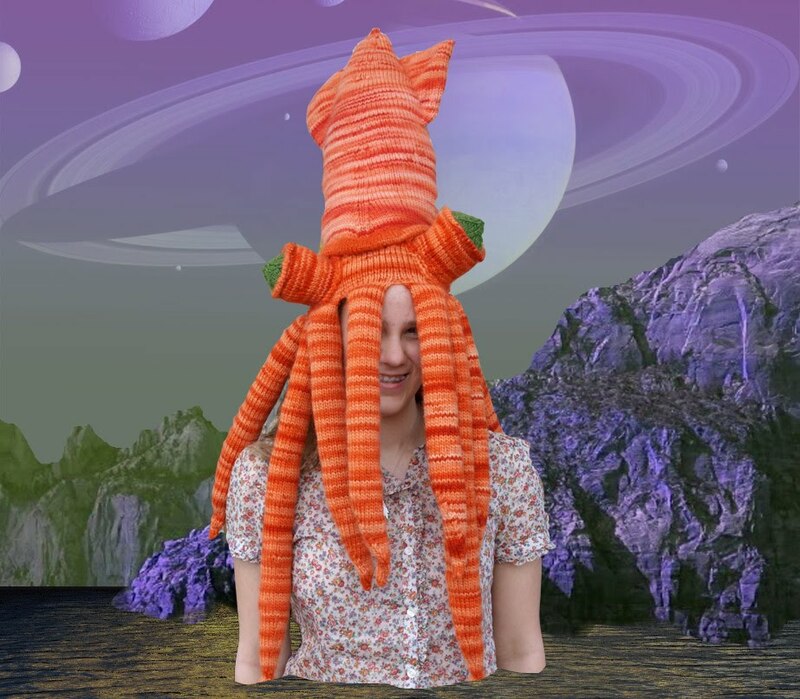 Tess piqued our curiosity when she asked us to special order loads of orange Lambs Pride bulky for a project. When she came in with this Kraken disguise we almost couldn't handle the awesomeness! She is the most adorable legendary sea monster we have ever seen! 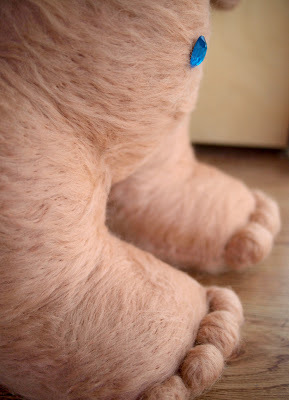 The plushies she has been making are pretty dang cute, too. 2) Tell us about the projects you've been making. 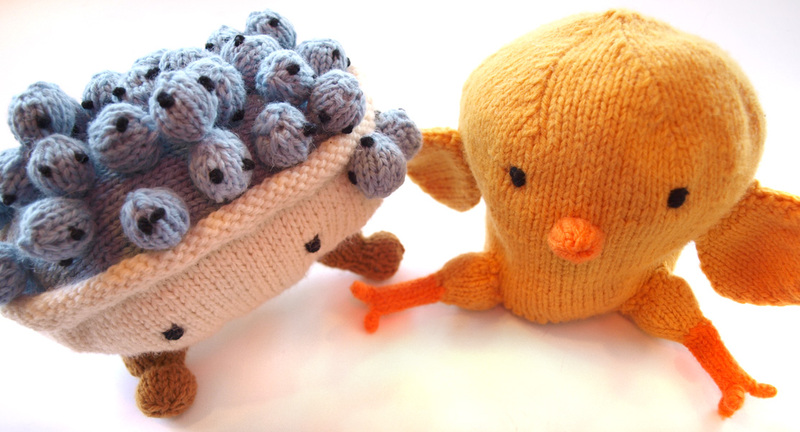 I love to knit and crochet plushies. I used patterns from Mochimochi Land and other plush designers. I used Cascade 220 and double pointed needles for them and Lamb's Pride Bulky for the Kracken hat. 3) How did learn to be so crafty? 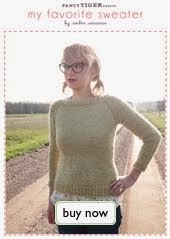 I learned to knit five years ago with a private teacher. I taught myself to crochet last year. 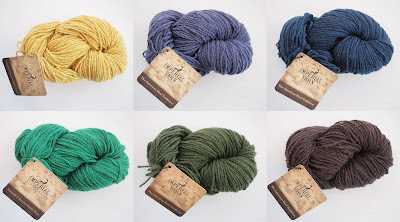 Shiny New Yarns Are Here! 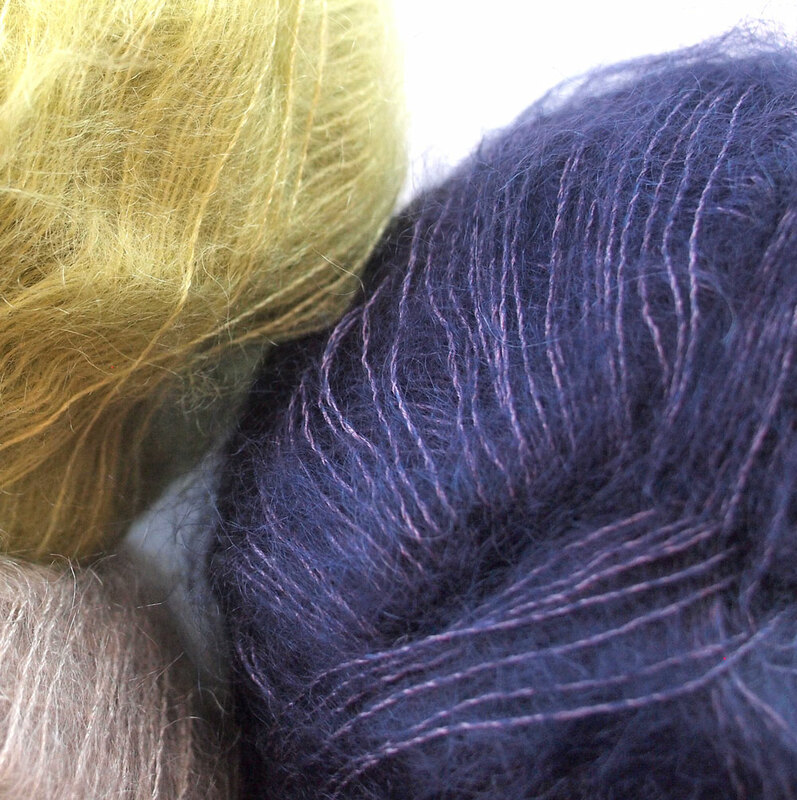 We just received a big box of the shiniest yarns we've seen in a while. We aren't talking glitter, we are talking the natural shiny sheen of silk, mohair and pima cotton. Here is Cascade's brand new Kid Seta. It is much softer than the previous version of their yarn by the same name, and has a beautiful silk that lights up and shines inside the halo of soft kid mohair. We're dreaming of light, airy shawl for cool spring evenings. 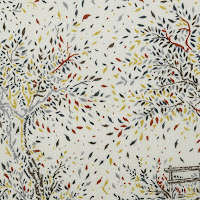 Also just in is Ultra Pima Cotton by Cascade. This is the softest and shiniest cotton yarn ever! 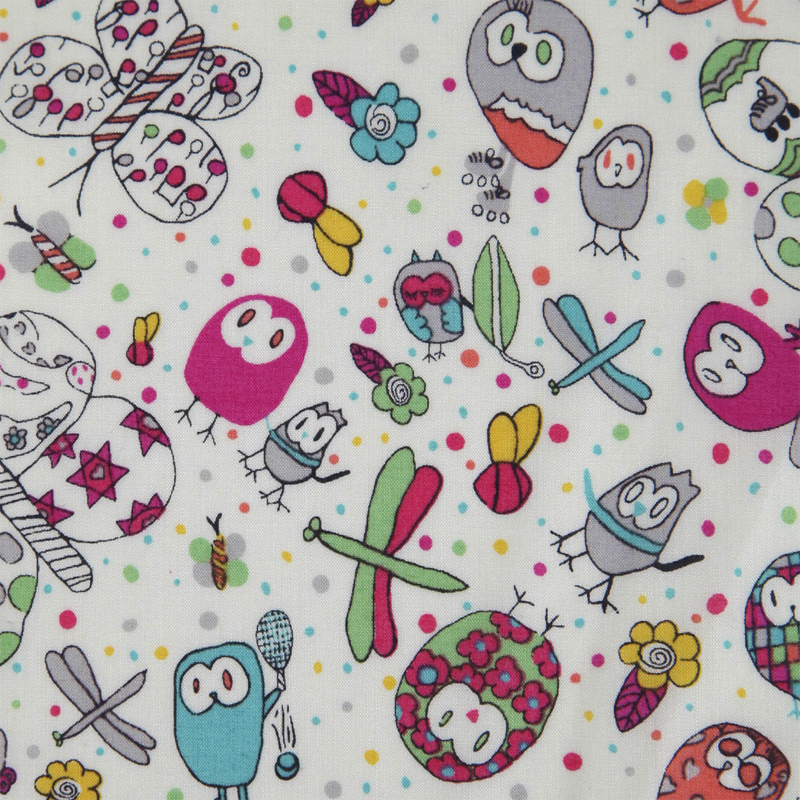 Perfect for light summer cardigans, shiny totes and washable baby items. 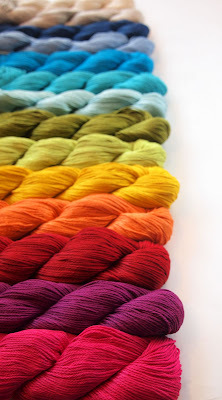 If you're looking for fun spring-timey yarns, look no further. 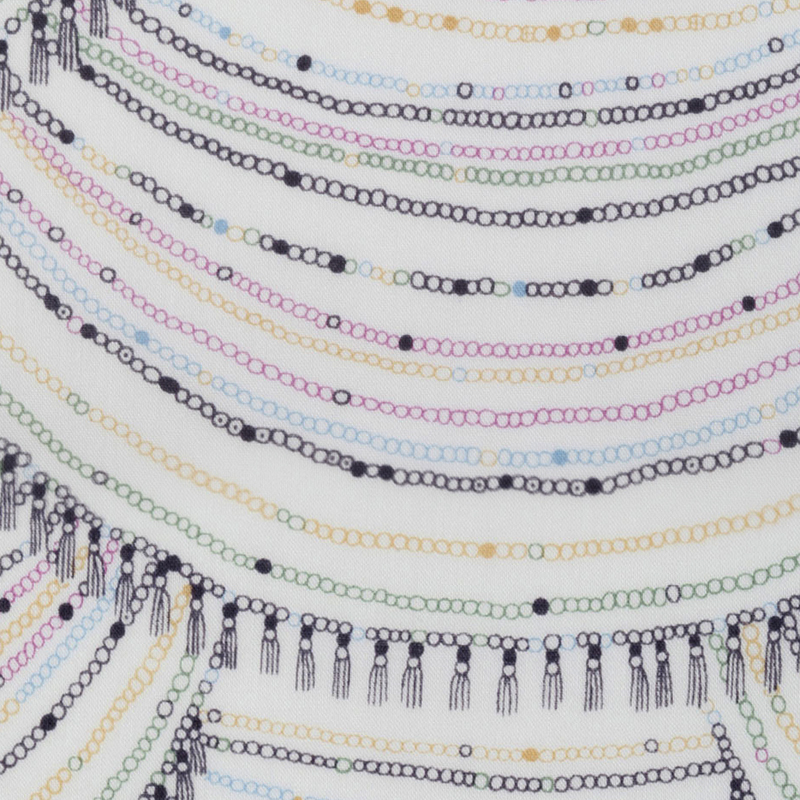 This spring is all about bright beautiful colors and shine!